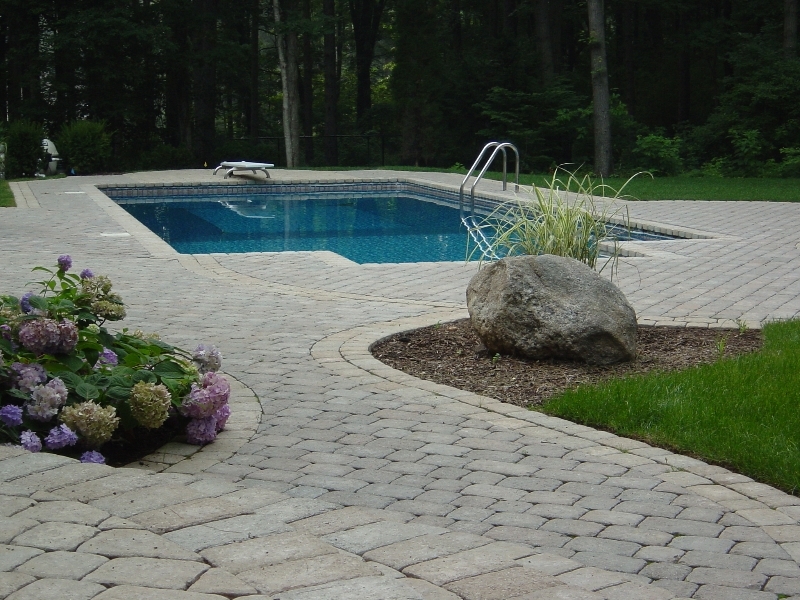 Pavers are used to build everything from driveways, walkways, patios, pool patios, firepits and more. 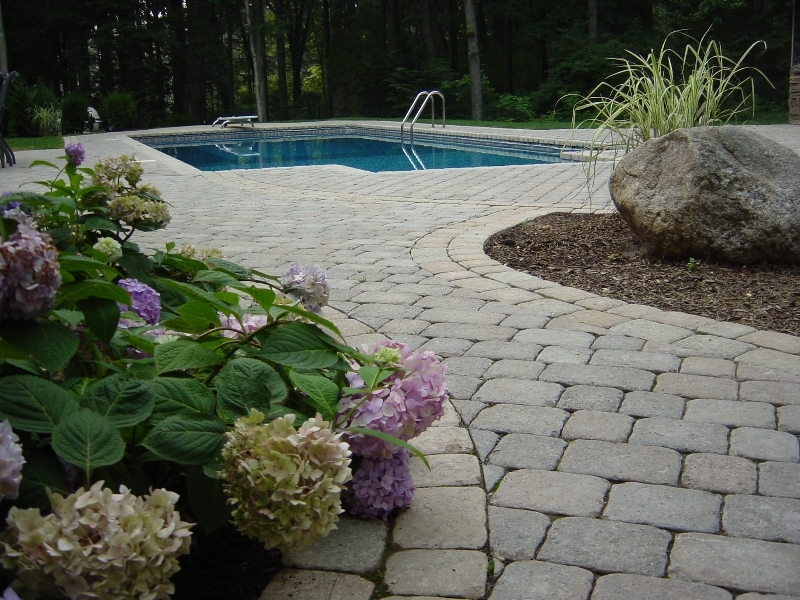 We install many brands of pavers such as Cambridge, Unilock, Techo block, Capital, Rinox, Belgard, Nicolock, and Desi. There are many patterns and finishes pavers come in, most common are the random patterns such as Sherwood ledgestone from Cambridge and Stoneridge from Nicolock. 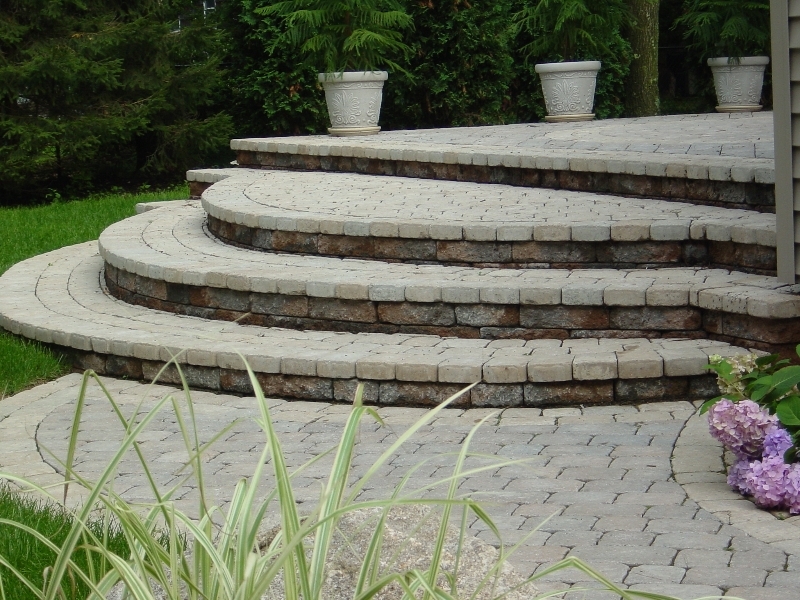 Both come in a 3 piece pattern with the option to add a 4th piece which is an 18″ x 18″ paver. 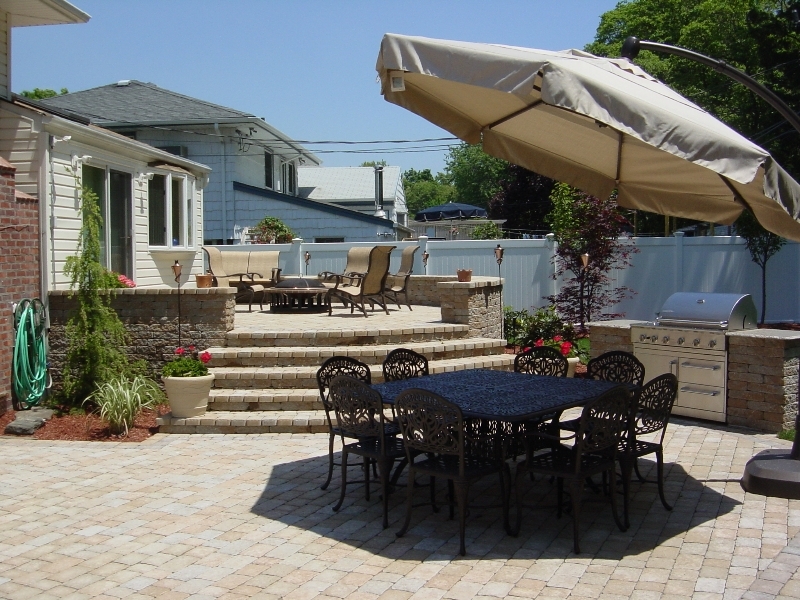 Tumbled pavers are also a very popular choice and can give you an elegant and Old world feel that sets it apart from other styles of pavement. 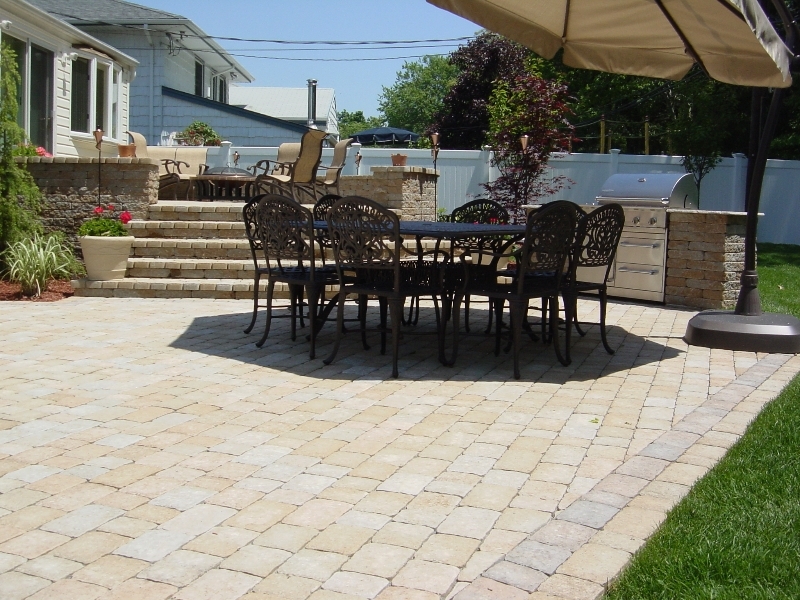 A 6 x 9 tumble paver set in a 45 degree pattern is one of the most elegant styles of pavement. It’s a style that has been used for over 100 years and is still popular and used today. Tumble pavers are forever. 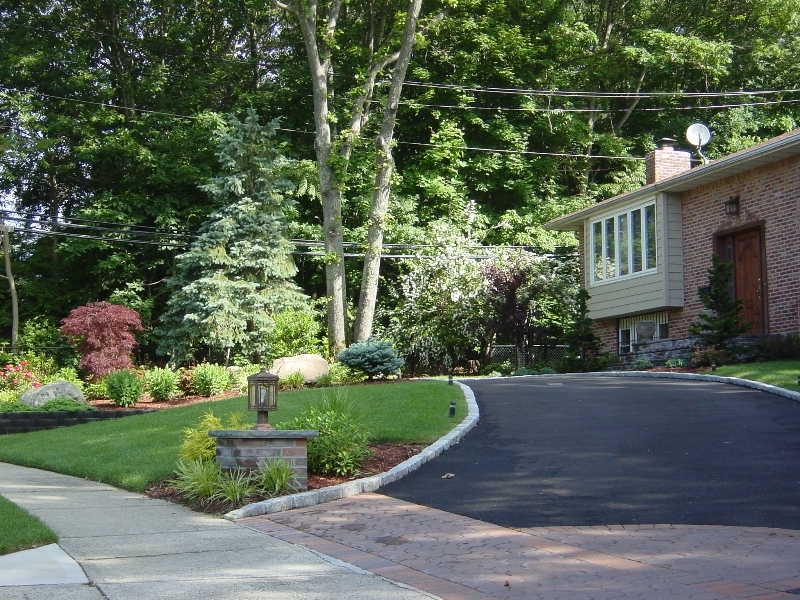 Pavers have several different methods of installation. We use a concrete base on areas where heavy vehicle traffic or the ground has been disturbed or back filled. A 4″ base is set with weep holes for the moister to escape. 6″ to 12″ RCA aggregate sub base is used on typical walkways and patios. After tampered and set, RCA is a strong and stable footing as long as it is installed properly with 4″ lifts between compaction.